Choon Chit Shim spent his Wednesday afternoon watching through a chain link fence as fire investigators picked their way through the charred remains of the business that had once been his livelihood. Shim, known as Jeff to his customers, hasn’t been allowed to go inside the gutted Yakitori Sushi House ever since it was destroyed in what officials believe was an intentionally set fire early Monday morning. Shim, 38, had been running the restaurant for six years alongside his wife, Dan Zhou, and six employees, all of whom are now out of work, he said. He had worked in Asian cuisine for several years before he owned Yakitori Sushi House, where he was also the main cook. He made “the yakitori, the lamb chop," he said. Shim said he put in between 15 and 16 hours a day at the restaurant. His hours were so long that sometimes days would go by without him seeing his 21-month-old son, he said, but sets Sundays aside for his family — his one day off. “And this happened in that night,” he said. On Wednesday, a day when he would normally be cooking, he was instead working with fire investigators to piece his life back together. On the morning of the fire, family members, friends and customers had stopped by, crying and offering their condolences, he said. He also didn’t recognize the two men captured on surveillance video fleeing from his burning restaurant. His neighbor, Elizabeth Yuk, who runs the nearby Noodle World restaurant, didn’t recognize the men either. 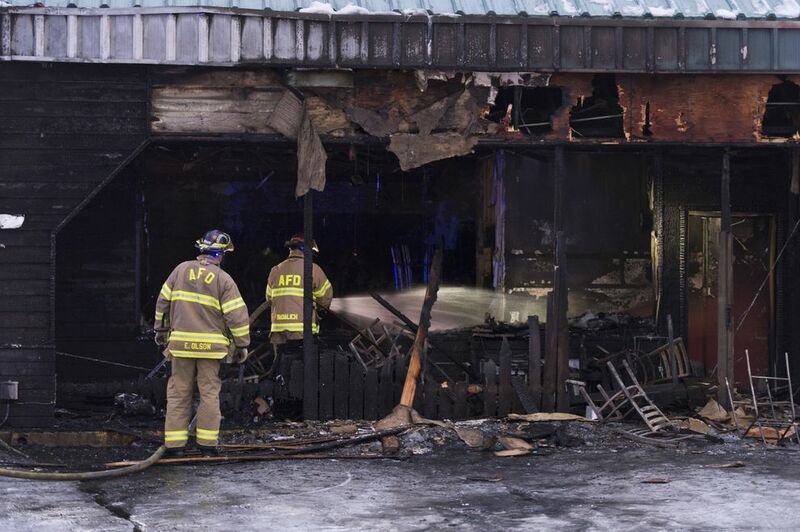 Yuk’s restaurant was broken into shortly before the fire started. The thieves stole about $30, she said. 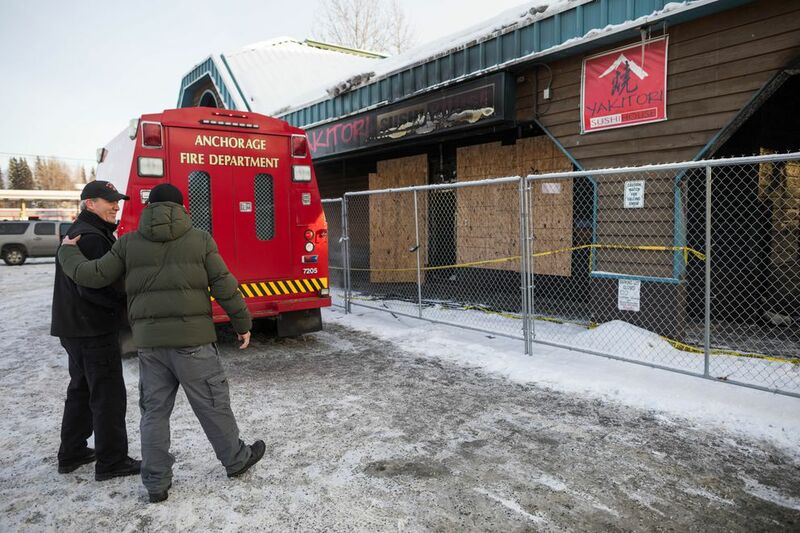 Shim is, however, familiar with some of the homeless people who frequent the area — his restaurant is right across the street from the Anchorage Gospel Rescue Mission, and sometimes homeless people come in asking for money and food. He gives them bowls of rice, free of charge, he said. The faces in the video weren’t ones he was familiar with, though. Yakitori Sushi will reopen, Shim said, but he doesn’t know when. When it does, he plans to invite back his employees, who have all worked with him for years. They’re like family, he said, and he hopes they’ll be able to find jobs until then. In the meantime, Shim said he has a strong network of people supporting him. “I got to be strong, to try and move forward, to get back on track," he said.